What does it take to start a life-long career in a groundbreaking industry like robotics? Does one need to have a highly developed set of skills just to get started? Or, does it all come down to an individual’s true grit and determination to succeed? 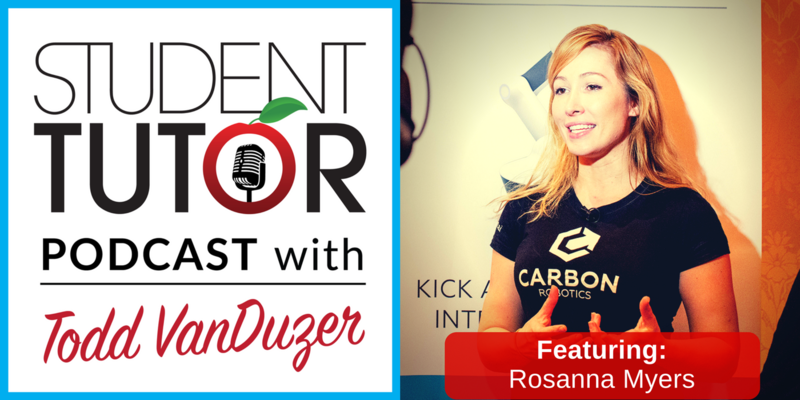 This week, we’re joined by Rosanna Myers, a true leader and innovator in the robotics industry! At only 30 years of age, Rosanna is the co-founder and CEO of Carbon Robotics which recently raised a few million dollars (exactly number cannot be disclosed yet), which makes advanced robotics dramatically more accessible with low-cost robotic arms and highly intelligent control software. Hailing from the English countryside, Rosanna got her start in engineering while rebuilding old race cars with her father and learning about industrial production. Since graduating Duke as Baldwin Scholar, she’s focused primarily in software development, with her work taking her everywhere from the jungles of Costa Rica to the electronics markets of Shenzhen, China. Carbon Robotics has received numerous accolades for their groundbreaking work in robotics, including being named one of the Top 50 robotics companies in the world by the Robotics Business Review! [3:30] – Meet episode 13’s guest, Rosanna Meyers! [4:45] – AI, innovation, and a network of clues. [7:00] – Crystalizing moments, and an old combine harvester. [9:45] – A 13 year old girl’s dream of the future. [10:15] – Taking a year off to live in a Costa Rica jungle hut. [12:15] – The secret key to happiness. [13:45] – From wielding machetes to packing Duke University textbooks. [14:45] – Choosing college courses and learning to learn. [16:30] – How many times is Todd going to repeat this? Do you understand!? [18:30] – What the heck is a start-up? [21:30] – Development platforms and infrastructure layering. [24:45] – Speculations of the world to come. [30:00] – Todd’s episode 13 recap. [31:30] – Questions from the Student-Tutor Mastermind members! [38:00] – Wrap-up and Outro. Find satisfaction in what you HAVE, not what you DON’T have. This only leads to discontentment and suffering! 2. Learn how to LEARN! Focus on becoming self-aware and self-reliant. Don’t defer opportunities in exchange for convenience or fear of risk! 3. The way you view failure affects your entire outlook on life! Are you moving towards a goal, or running away from something you don’t understand… or are afraid of? There’s a difference between “having” a failure and BEING a failure.